StarBoard TE-SN84 Interactive Touchscreen Display is a leading collaborative communication product in contemporary markets. It sets high standards for competing companies with its exclusive set of features and specifications. 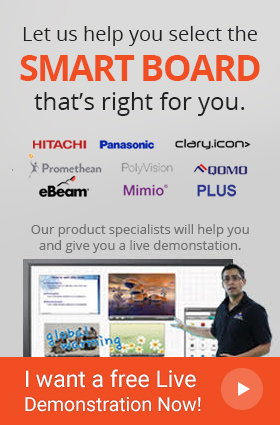 StarBoard TE-SN84 is a huge 84“ touchscreen panel with 4K resolution. Its remarkable display ability is absolutely marvelous and produces captivating imagery. The TE-SN84 makes use of advanced IR technology sensing touch points. This technology makes its 10 point multi-touch feature truly enjoyable. TE-SN84 Interactive Touchscreen Display is a highly versatile tool. The system connects instantly with all OS including Windows, Android, Linux, and MAC. This quality is a unique facility that solves major issues faced by workplaces, and allows it to be used in all work environments. Moreover, to aid in collaborative activities this product incorporates the intuitive StarBoard Interactive Software which has a wide range of useful interactive tools. StarBoard TE-SN84 Interactive Touchscreen Display is easily one of the most functional products available to consumers in contemporary markets. It is a necessary tool if one wants to transform communication in their interactive workplace.